Hi again! We’re updating Opera Stable today. It comes with the Chromium update 37.0.2062.120. 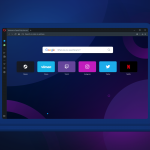 For this Opera Stable update, we’ve also fixed two bugs on Windows. As always, let us know if you find any problems.